Toshiba Awards VANCO SYSTEMS | Industry Analysts, Inc.
Vanco Systems today announces it has been selected Toshiba America Business Solutions’ top reseller in the south United States. The Texarkana, Texas company earned the distinction through its exceptional revenue, percentage of sales quota met, year-over-year revenue growth and community service within its region. Vanco Systems is among seven elite-performing U.S. independent resellers Toshiba recognized. Toshiba selected Brookfield, Wis. reseller, James Imaging Systems 2018 Dealer of the Year, Houston reseller, Stargel Office Solutions All Star and first-year channel partner, Oklahoma Copier Solutions, located in Norman, Okla., Rookie of the Year. 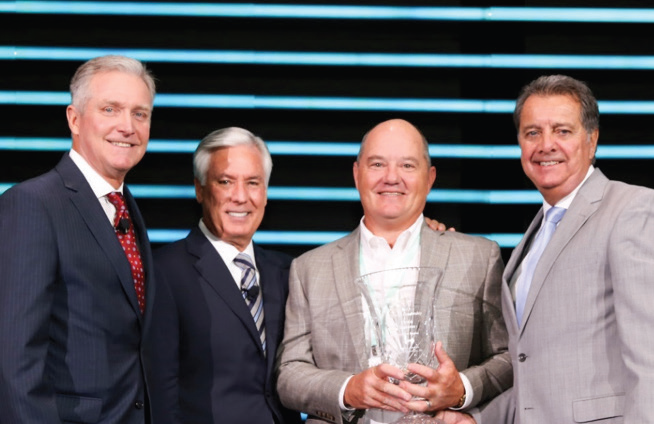 Toshiba’s other regional award winners include Atlantic Tomorrow’s Office, headquartered in New York (East region), Chicago-based Proven IT (Midwest region) and Kelley Imaging Systems located in Kent, Wash. (West region). Vanco Systems is a family owned business that began in 1987 servicing the Northeast Texas, Southwest Arkansas and Southeast Oklahoma areas. Randy Ottinger leads the Sales Team while Daniel Plunkett and Jamey Pearson spearhead the Service Division. Mandi Pearson and Teala Rushing lead the Administration staff. Vanco carries a full line of Toshiba Multi-Function devices that copy, scan, print and fax in black and white or color. Vanco Systems prides itself in providing local dispatch service support which gives us the ability to provide an average of a four hour response time on most service calls. This entry was posted in Toshiba and tagged toshiba, Vanco Systems by IA Staff. Bookmark the permalink. ← Previous Previous post: Brett Butler of Excel Is Latest LD Products Winner! See What He Won!